I feel like it has been forever since I did a post on a lipstick, so I thought I would share with you guys a newer lipstick that I have received from my boyfriends mom. 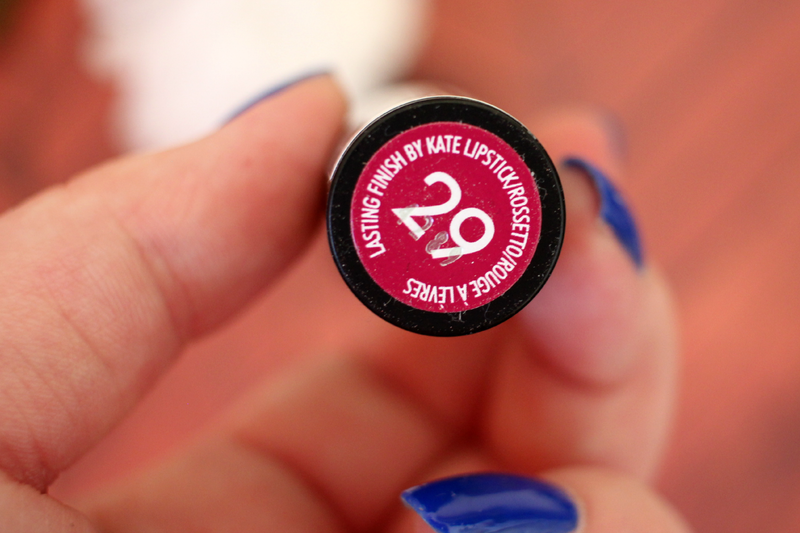 This is one of the Rimmel London Lasting Finish Lipsticks, in the shade #29. 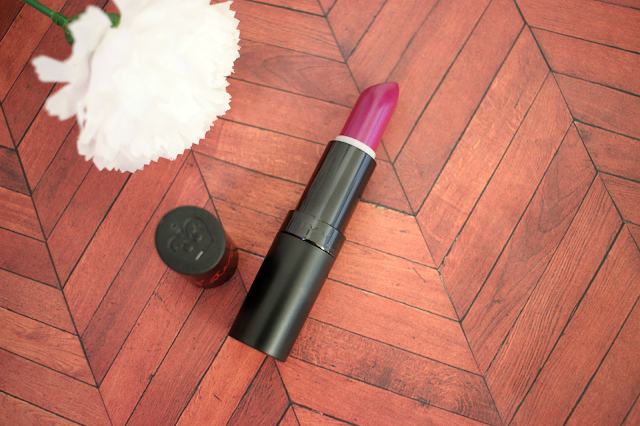 The shade 29 is a beautiful magenta berry color. 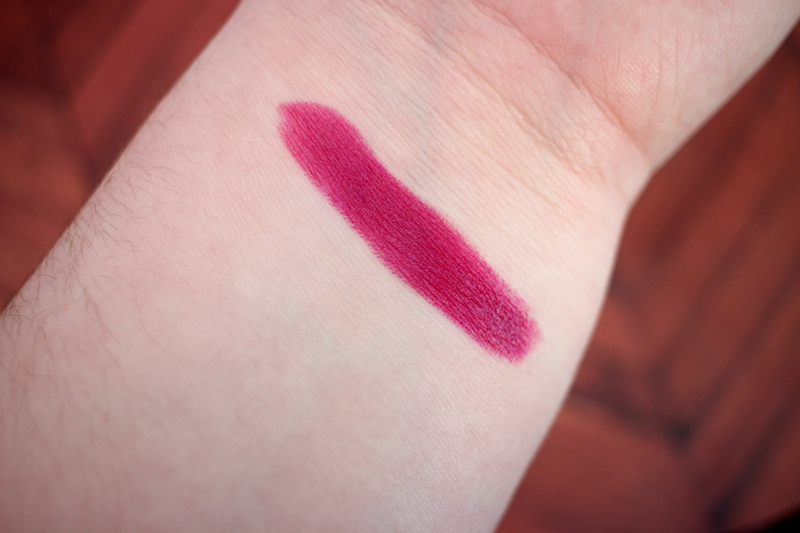 It looks more purple in the tube, but once swatched, it's a very beautiful berry color. I love the formula of these lasting finish lipsticks. They apply so easily and are very opaque. I do believe they have wonderful lasting power, just like the name says. For me it does last around the 8 hour mark, which for a lipstick from the drug store, its awesome. Once it does wear off you can see a little hint of the color left behind. 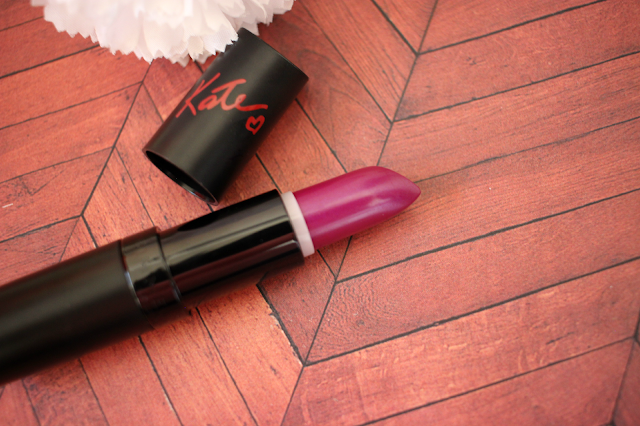 You can purchase this lipstick basically anywhere that sells drug store makeup. They are also very affordable. At Walgreen's I believe they are around $4.99-$5.00. I own a few other shades, and I am always impressed with the color pay off and formula.